Very Good. Trade paperback (US). Glued binding. 464 p. Contains: Illustrations. More than 150 recipes for every type of chocolate cake, muffin, biscuit, cup cake and brownie. Starting with versatile supermarket cake mixes and adding just the right extras, including chocolate chips, buttermilk, bananas or coffee, the author creates original recipes. Loew, Anthony (Photographs by) Very good. Light wear, clean. Recipe written on inside back cover, no other marks. Glued binding. xv, 480 p. 21 cm. Contains: Illustrations. Audience: General/trade. I love baking with cake mixes so this book is PERFECT, except that the pictures are not in color...bummer!!! Great book, great price and fast shipping. Won't live long enough to try them all, but will have fun trying. 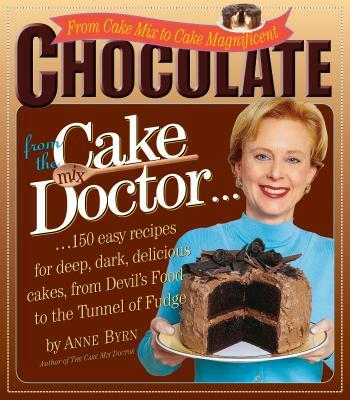 I already had the regular cake mix doctor and cupcake doctor books. This one is great. Was really hard to decide which one to make first. I make birthday cakes for work every month and everyone always wants chocolate. This is great because I can do chocolate but also have some variety.